Mac DeMarco's recent success seems to have worked to his bandmates' advantage. 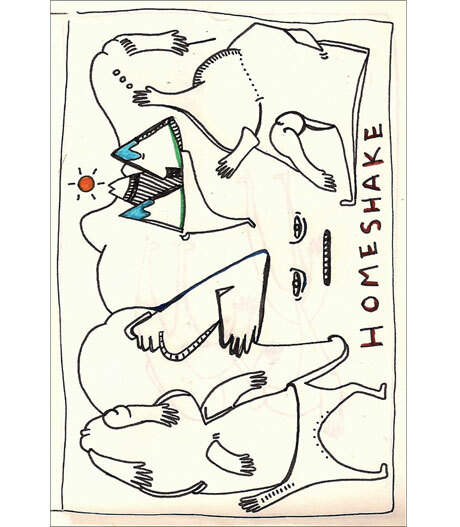 Not only does his longtime collaborator Alex Calder have a budding solo career, but DeMarco's live guitarist Peter Sagar has an album coming out under the pseudonym Homeshake. The Edmonton-born, Montreal-based Sagar, who previously played in Sans Aids and Outdoor Miners, will release his functionally titled The Homeshake Tape on January 29 through Fixture Records. It will be pressed in a limited run of 200 turquoise cassettes, as well as be be available digitally. A press release notes that these homemade tracks were "recorded by Peter Sagar with the help of Mac DeMarco and [Sheer Agony member] Jackson MacIntosh." DeMarco plays drums in Sagar's live band. The nine tracks clock in at a modest 25 minutes and mix weirdo-pop atmosphere with lo-fi soul. Sampled interludes are also culled from Google Translate and Dragon Ball Z. To hear it for yourself, stream the album below. You can also pre-order the cassette and receive an instant download of the whole thing.